Heirs of Shakazhan is book six in the Lone Wolf Series. Sorry, it’s not out yet, but I’m working on it! Wil and Matilda have just had a spooky late night visitor, an apparition which, they reckon, is a telepathic projection. It attacks Mariah, their daughter, first and goes after her nanny. Wil tries to fight it but can’t, but with Matilda, it’s another story. She fights the entity—and wins. It leaves her shaken. “He was incredibly powerful, wasn’t he?” his question hung between them unanswered for several minutes. Matilda didn’t seem to be listening, but suddenly she shook herself and looked in his eyes. “Thank you, Commander,” Marc said. Walking away from them, Grammery put an extra swing in her hips For Marc’s benefit. His wink caused Matilda to fake a coughing fit so she wouldn’t burst out laughing. As he leaned over to see if she was all right, he whispered in her ear. “Yes, fine,” was her choked reply. She stood again, tears in her eyes. When no one was looking, she pinched him hard in the ribs. “I owe you for that,” she whispered. Brian and Jordan go out for a snack and meet up with Chase and Marissa. Chase tells them that 300 years ago, the town came under attack of a group of evil witches. “How do you know all this?” Jordan asked. “Oh?” Jordan couldn’t help being interested. She leaned toward him. 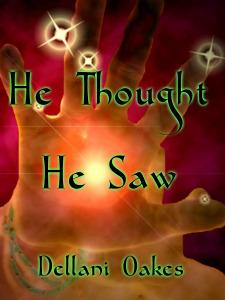 Flames dripped from his fingers, spilling down his arm and onto the floor. A dribble of fire worked its way up to his armpit, setting fire to his shirt. Brian slapped at the flames, burning his hand. “Sorry, Mom. I burned myself.” He stuck his fingers in his mouth, pulling them out immediately when he tasted the bitter herbs that covered them. “Gak! Blerg! Gross!” He rushed to the utility sink and rinsed his mouth. Running water over his hand, he hissed as the singed digits met the cold. Soft footsteps trotted down the stairs. “What did you do to yourself now?” Jordan’s voice interrupted his pity party. Brian held out his hand to her. Jordan took his damp fingers, whispered a couple of words and the pain stopped. “That’s a mouthful I’d not want to repeat,” Ray quipped, winking at the Admiral. Greyling smirked, a chuckle escaping her lips. “Well, it took a little practice to get it right.” Her demeanor changed abruptly as she went back to business. “The intel information will be available to you and your team, Colonel. I have taken the liberty of including names of possible team members broken down by specialty. I fear it’s a rather short list,” she added quietly. Wil nodded again, terribly embarrassed to admit his intentional duplicity. He couldn’t bear to look at her, afraid he’d see disgust in her eyes. Luminous Cayce stood on the front porch of his spacious home, overlooking the mighty Mississippi River. The full moon sparkled on the water as it rolled by. Smoking his pipe, he was content. Nothing could equal the peace he felt when he communed with the water. Its power and majesty surrounded him. A small sound behind him made him turn around. His eldest daughter, Evangeline, stood in the doorway. This was the night of her fifteenth birthday party. The guests had finally gone home and the servants bustled around cleaning up. Her father smiled, holding out his hand. “No doubt.” He put his arm around her shoulders, holding her close. He Thought He Saw Is Over! He Thought He Saw is over. I hope you enjoyed reading it as much as I did writing it! I thought about skipping to another book, but I decided to share the next book in the series. 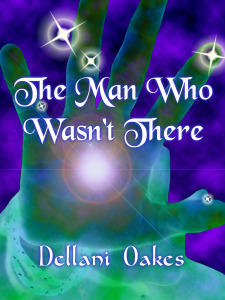 The Man Who Wasn’t There – Book 2 in the Miracle, Mississippi series, is set in the mystical, made up town of Miracle. The Man Who Wasn’t There picks up not quite a year after He Thought He Saw ends. Jordan and Brian are happily anticipating the annual Halloween Ball, the social event of the season. This one is special, because it marks the 300th anniversary of the appearance of a magical stranger known only as The Peddlar. It also commemorates a major battle between the Circles and a cult of evil witches. Already, things are stirring and Brian’s dreams have grown tumultuous. Something wicked this way comes. After talking to the police, they go to Chase’s house to wait for news about Brain. Soon, Heath calls to give them an update. The news of Brian’s condition was greeted enthusiastically. Everyone cheered and laughed except Jordan. Her mother noticed how subdued she was.